Sometimes you just have to say: WTF? 3. Gets your product to market without headaches. our revolutionary process using our lean manufacturing approach. Contact ThermoFab by emailing us at design@thermofab.com or by calling 978-425-2311. ThermoFab can assist with engineering and any design for manufacturability challenges you face. We offer the fastest time to market design to manufacturing options. 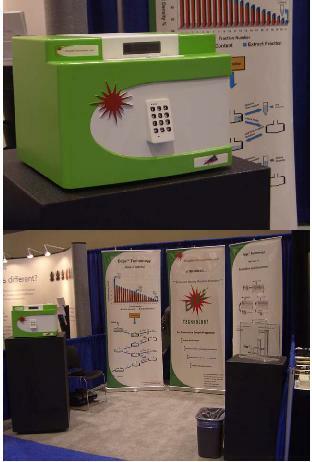 Thermoforming: How to create a Star Tradeshow Product? Will Your Tradeshow Product be a Superstar or a Fright? Don't think "cost savings" when attending a tradeshow. Take the time to perfect the design as much as possible. Why? Simple. 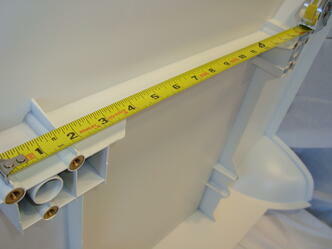 The more accurate the design, the easier it will be to modify it after receiving feedback at the tradeshows. Putting the time and effort in up front will make for smoother and faster transitions from CAD-to finished parts. With a company like ThermoFab, you can go from completed design to finished parts in just 4-6 weeks. Appealing to the senses is important from a marketing standpoint (did you hear about the billboard for chocolate chip cookies that gave off the scent of cookies baking?). Vibrant colors appeal to the eyes, sleek edges appeal to our sense of touch, and even the smell of a freshly thermoformed part adds a certain allure. Your prospects need to see and touch a real product--one that can withstand bending and prodding and holding. Because of this, avoid stereolithography (SLA). But why, you might ask, considering SLA models can be created from CAD files in a matter of hours? Sure, you might have a "real" three-dimensional object in hand, but problems with SLA models exist. They're costly (the liquid photopolymer used in the SLA machine can cost upwards of $800/gallon), and the process (which involves the layering of the liquid photopolymer) is not always structurally sound. Imagine having an SLA model at a tradeshow and it doesn't bend or flex the way it's supposed to or worse--it breaks in a prospective customer's hands. Wouldn't it be better to have the actual part instead of a raw piece? Even if you attend a tradeshow with a prototype, it should be made from materials similar to those that will be used in the final product, and it should have a production finish. It might be easy to rationalize that tradeshow product displays aren't that important in the grand scheme of things. After all, the people looking at these products realize these items are just examples, right, not fully rendered parts? Well, not so fast. Think about it. In today's hectic world and crowded marketplace, a person has only so many chances to engage a prospective customer. The beauty of tradeshows is that they're filled with captive audiences. People attend for a reason, such as a vested interest in a particular industry. Many of these people are looking for products--perhaps products like yours. Where else besides a brick and mortar storefront will you have the opportunity to speak with a hot prospect face-to-face while showing your wares? When you look at it like this, suddenly those products displayed at tradeshow booths take on new meaning. This is your opportunity to show and sell. Don't skimp. Summer Fun and Thermoforming Resources! 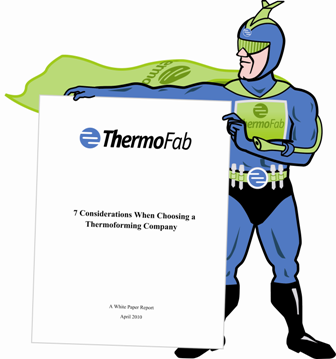 Latest White Paper "7 Considerations When Choosing a Thermoforming Company." This white paper is complimentary to download. 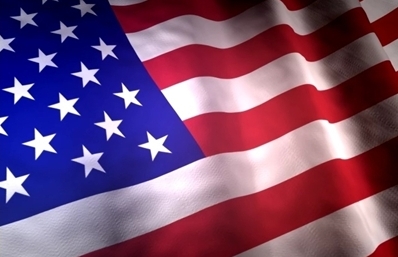 And please know that we'd love the opportunity to "wow" you with our thermoforming process. Contact us today to schedule a call to discuss your product's needs, or, better yet, set up a time to tour our plant. Telephone Lisa King or Michael Wahl at 888-494-9777. We truly enjoy showing clients and prospective clients around our Massachusetts office and manufacturing facility. Design Services which concentrate on the details of your custom plastic enclosures. We're excited to announce an increased investment in ThermoFab's in-house design services. This investment will further ensure that our customers continue to receive the highest quality parts from a company that truly is a one-stop shop in the engineering, design, and manufacturing of thermoformed plastic enclosures. Whether you already have a designer or a design or you need a designer to turn that concept into reality, ThermoFab can help in both scenarios. Review your existing plastic design files. If we decide that we can manufacture your product to our exceptionally high quality standards, we'll move your files into the design assessment stage. From there, we'll get your design files ready for our expert engineering and plastics manufacturing. Discuss the idea you have in mind and determine if we're the right fit for engineering and manufacturing your part. Create a rendering and e-file of your part (we've created renderings and e-files from everything you could imagine, including sketches on cocktail napkins all the way to more sophisticated CAD files). We invite you to read about some of the design and manufacturing challenges we've solved for our customers. You've labored over your product: its design, its function, its manufacturing. But keep this in mind: it doesn't--and shouldn't--stop there. In fact, we're willing to say that product finishing is just as important (and maybe even more so, at least initially) as design, function, and manufacturing. Simple. Your product's finishing touches are what prospective customers are going to see first. If your product doesn't garner attention (and quickly), it won't matter how innovative or how useful your product is because the prospect will have already walked on by. Don't let that happen. Take the time to understand how to reach the product "finish line" in style. When it comes to product finishing, you need to focus on three things: color, min/max chips, and logo artwork and design. We've talked about color psychology in past issues, but it bears repeating. The color you choose speaks to consumers on a subliminal level. White says "clean," bold purple suggests "fun," and soft blues and sea greens have calming effects. Think about what you want your product to say and what impression you want it to leave on people's minds. Don't randomly select a color. Make sure you have a reason (and a good one) for selecting it. Of course, choosing the right color is only the first step. What comes next? Working with a thermoformer that makes certain your color translates well onto the product. At ThermoFab, we perform all painting in-house because this gives us maximum control over color, gloss, and texture. For the exterior color, we can color-match using your color sample chip or specification. To ensure the right color is applied every time, we use Dupont Spectramaster. Which brings us to our next important point. Each chip is divided in half. One half is the minimum. The other half is the maximum. Our clients keep these chips and we keep these chips (so that everyone is on the same color "page"). We use these chips to ensure that each lot falls within the acceptable min/max range. Nothing leaves our thermoforming plant unless this happens, which means you can rest assured knowing that your product's look is consistent from batch to batch. How and where will the logo appear? What challenges to the manufacturing and product finishing will this create? How do we work around these challenges? Line artis required for traditional screen printing. However, at ThermoFab, we have a machine that can print photographic images onto components, but the part must be no more than two inches thick. We don't recommend gradientsbecause each color is screened individually onto a part. However, if your heart is set on the gradient "look," we can use dot patterns in the screens to mimic the look of a gradient. The result is a pixilated image that looks best when you view it from afar. Vector Artwork: If you have vector-based artwork from any of the file types listed below, the DPI doesn't matter. But if's raster-based (i.e. graphics made up of pixels, like those captured from the web or from your digital camera), a higher DPI will produce a better look. Preferred Files: Adobe Illustrator, Photoshop, Acrobat, and Distiller (.pdf, .eps, .ai, .ps, .psd), as well as AutoCad (.dwg, .dxf), Corel Draw (.cdr), and Corel Photo (.cpt). Like what you read here? This is the type of info you'll get when you download our free thermoforming design guide. Then browse through our complete list of thermoforming case studies here. Picture this scenario: you and your company have been laboring over a new product concept. You've done the market research, and you know demand exists. You've designed the product, and you've collaborated with a thermoforming company to manufacture the plastic enclosure. You've priced the product to sell right out of the gate. You've created buzz, and you've worked tirelessly on the marketing plan, the social media plan, and the PR plan. All you're waiting for now are the actual thermoformed parts. You wait. And you wait, only to find out there's an issue with the design. And then the materials. And-oh wait-the company that's manufacturing the parts is behind schedule. There's nothing you can do (well, unless you want to sink more money into starting all over with another manufacturer). While this might seem like an extreme example, it's not. Your time to market (TTM) is determined by the length of each stage of a product's development, one of the most crucial of which is the actual manufacturing of your thermoformed parts. This is why it's important to keep in mind that not all thermoforming companies are alike. You must select carefully. At the same time, choosing a thermoformer doesn't need to be a stressful process, if you know what to look for-and what to avoid. And that's where this white paper comes in. We've outlined the key questions to ask and factors to consider when making your decision. Your product is an investment. Take the time to speak to several thermoformers to understand how each one approaches the manufacturing process. Understanding the difference between thin- and heavy-gauge thermoforming is essential when researching a thermoforming company's expertise. Knowing up front what type of thermoforming you need will help save you time during the initial contact phase. There's no sense in contacting a heavy-gauge thermoformer when what you need is a thin gauge one. Most packaging-think of the plastic that holds a wireless headset-is thin-gauge thermoforming. Heavy-gauge thermoforming involves a plastic part that in essence "becomes" the product. For example, think of your computer or a medical device at the hospital. The plastic enclosure not only covers and protects the delicate electrical components on the inside, but also makes the product look better. 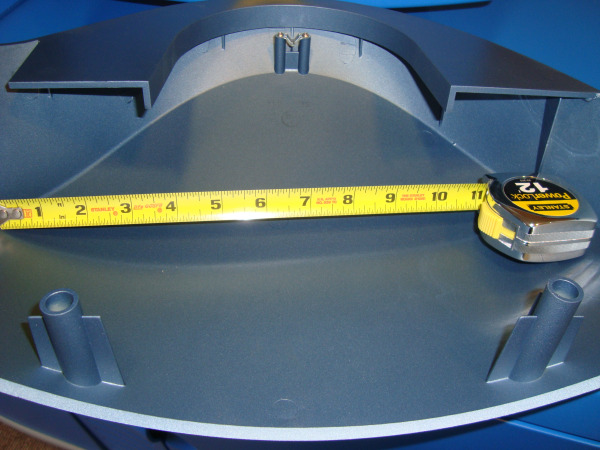 While you can use most of the considerations that we discuss below for evaluating either thin- or heavy-gauge thermoforming companies, it's important to know that this paper was written with heavy-gauge thermoforming in mind.